Mike Hill, who partners with Ralph Senecal to run Valley Road Maple Farm, took time out from his sugaring to get in touch a few days ago. When I asked how their sugaring preps were going, he groaned and said the weather has created real problems for them (as it has for all of our maple gang). The snow and ice have made it very hard to get around in the woods, and no sooner do they make headway, than the wind whips up and covers the trails again – and drops branches down on the tubing. Nevertheless, they are forging ahead, getting ready for Maple days, the last three weekends of March. But wait, there’s more! 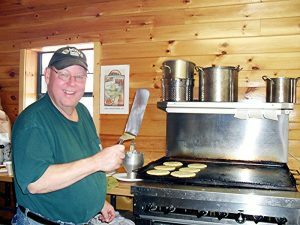 Mike says they are adding one more griddle to the array already in service in their pancake house, as their pancake mix supplier is now offering a gluten-free mix. The new griddle will be on hand to whip up GF pancakes for any wheat- or gluten-intolerant diners, a nice effort on their part. 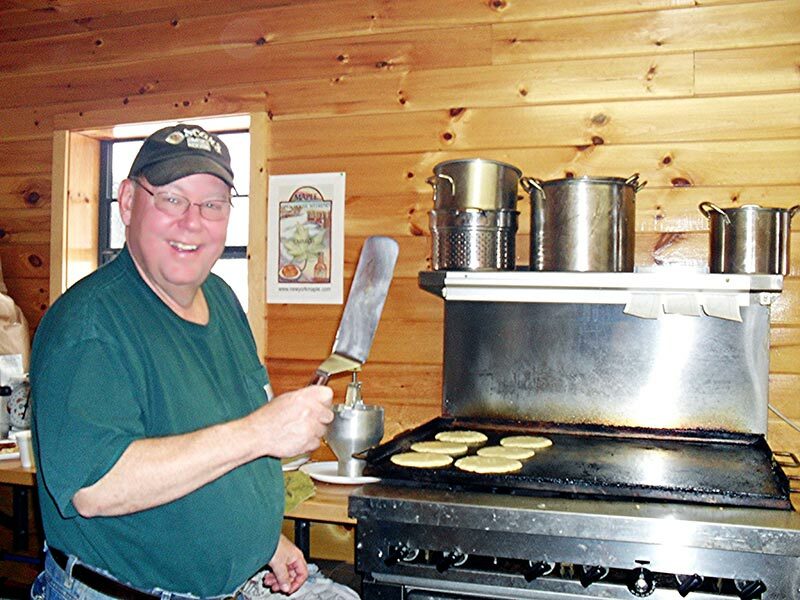 Stop in during Maple Days for breakfast (opens at 9) or lunch (griddles go off at 1) and check out their shop, as well. Demos and tours continue until 4 p.m.